It is with great sadness and heavy hearts that we announce the sudden passing of our Wife, Mother, Grandmother, Sister, Sister-in-law, Aunt and Friend Kathy Miles on April 5th, 2019. Katherine Ruth Miles (Krohn) was born June 1st , 1958 in Winnipeg, MB, the beloved daughter of Nelly (Janet) and Ronald Krohn. She will be lovingly remembered by her whole family, immediate and extended. She is survived and will be greatly missed by her best friend and husband of 35 years; Ken Miles, her two daughters Jennifer and Julie, and her son Drew (Vicki). She leaves behind her grandchildren, which were the light and joy of her life - Brady, Trace, Quinn, Aurora, Jovie, Sterling and Stanley. She also leaves to mourn her siblings April, Leonard (Dorothy), Joe (Carol) and Adam (Sue); sister-in-law Veronica and her many stepsiblings and beloved family. She was preceded in death by her Mom, Dad, her stepdad Bill and her older brother Ralph as well as her Mother-in-law and Father-in-law and sister-in-law Colleen. Kathy was an inspiration and a true friend to everyone that had the pleasure of meeting her or spending time with her. She was happiest when surrounded by her family; cooking, eating and spending time together. Every aspect of Kathy’s personal and professional life reflected dedication and commitment. Kathy had a persistent and determined faith in Jesus Christ throughout her life, which she shared with her family. Her faith was evident to all in her life through her convictions, actions and the wisdom that she passed on to her children and grandchildren. Many of her family came to faith through her example of devotion and lifestyle of selfless love. She lived love, and she loved life and we loved her dearly. A service will be held to remember Kathy at 1:00 pm on Thursday, April 18, 2019 at McKenzies Portage Funeral Chapel. Private family interment will take place at Evergreen Memorial Gardens, followed by a time of fellowship in the Trimble Room at McKenzies Portage Funeral Chapel. 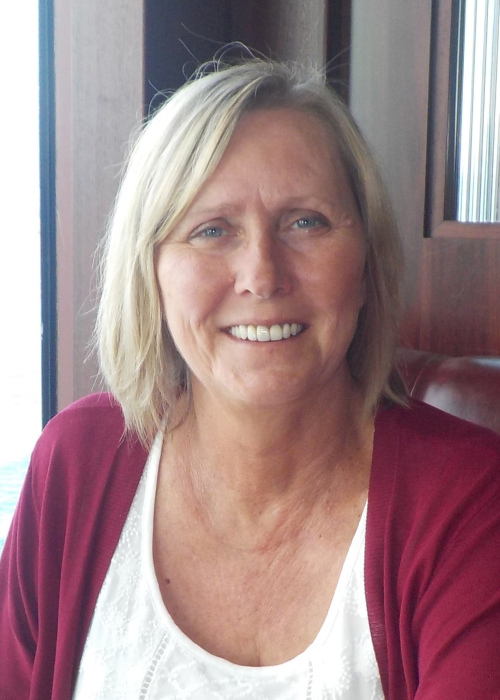 As expressions of sympathy, if friends so wish, donations may be made in Kathy’s memory to the Heart & Stroke Foundation of Manitoba, 1379 Kenaston Boulevard Winnipeg, MB R3P 2T5.